Our next event is on SCARR on the 12th of March and is part of the 2017 Leinster League. Registration and parking will be in the forest off the old military road. 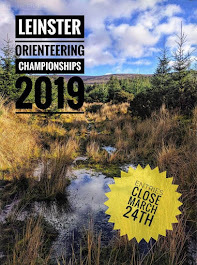 53°05'06.5"N 6°20'12.7"W The event will be signposted from Laragh. Start times are from 11:00 am till 1:00pm and the courses will close at 3:00pm sharp. Kevin O’Boyle is the planner. Hugh Cashell is the organiser and controller. When parking on the forest road please take care as there will be runners on and crossing the road.